SZA’s debut album, “Ctrl,” was a longtime coming. The alternative R&B artist began her tumultuous career in 2012. The then-21-year-old released her first E.P., “See.SZA.Run,” and then a follow up “S” on SoundCloud the following year. Both mixes are messy, bearing witness to an artist who discovered her talent at age 21 and was fumbling in the dark for direction. Inexperience aside, SZA’s aching vocals and patent laid back production are evident even in her early works, demonstrating her innate ability to turn heartbreak into a beautifully sad melody. The singer’s debut garnered thousands of listens, eventually leading to her signing at Top Dawg Entertainment, home of Kendrick Lamar and Schoolboy Q, two years after her debut on SoundCloud. After signing with Top Dawg, SZA’s sound evolved to a more refined, orchestrated place that allowed her to stretch her wistful tone into something deeper. 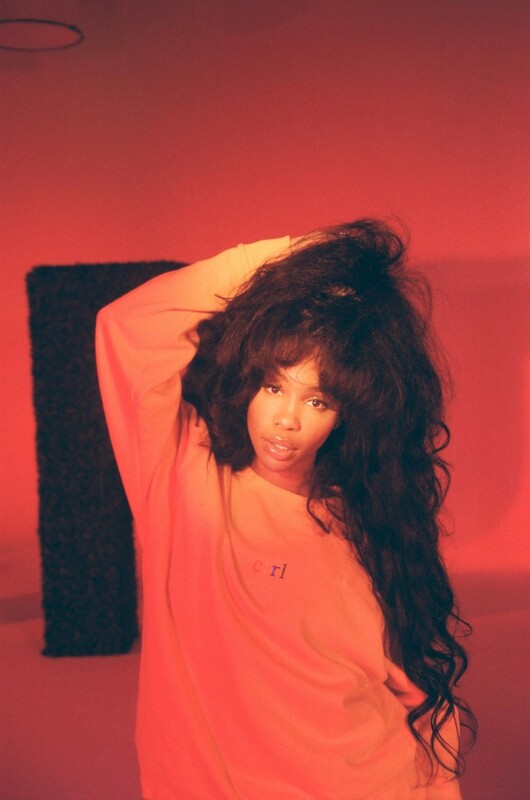 With the release of “Z” in 2014 under Top Dawg, SZA’s music had changed from a dejected 20-something making music on a laptop to an artist with enough wisdom to expertly convey the emotions she struggled to on her earlier endeavors. Although a muted attempt at the raw vulnerability of this year’s “Ctrl,” “Z” has a few strong tracks. “Childs Play,” featuring a mellow Chance the Rapper expertly weaving through the beat on his verse, is a tale of heartbreak that moves languidly over a nineties beat. “Babylon” is another collab, this time with Kendrick Lamar, and it’s another standout, as well as “Warm Winds” with Isaiah Rashad. After the release of “Z,” SZA went radio silent. Embarking on what would become a three-year hiatus, the artist struggled with her debut album, even exclaiming to Twitter last fall that she was “quitting music.” Fortunately, the since-deleted tweet never came to fruition. But, the conflicts SZA faced when making “Ctrl” is evident on the album, which released last month. The soulful diary is reminiscent of a Frank Ocean project: laid back tracks tinged with sadness, all accompanied with the smoothest vocals full of feeling. “Drew Barrymore” is the album’s single and SZA’s best track to date. Named after the singer’s favorite actress and muse, the tune expresses the same self-doubt and emotive yearnings SZA expresses frequently, but the guitar-heavy production and stronger-than-usual vocals make SZA’s plea more fervent, more honest than her earlier work. Inspired by many of Barrymore’s films and other classic rom-coms, her album harkens back to days of brooding high school romance, but her insecurities and revelations about a push-pull relationship evokes a much more mature vibe. And it’s not only a doomed relationship that SZA exhausted, you get the sense the years-long battle to create this album left the artist fatigued, evident in her tired vocals throughout the album. “Supermodel” is perhaps the rawest on an album stripped of superficialities, SZA spouts anger, desperation and depression at an ex over a light melody. She oscillates the entire song, “I’m writing this letter to let you know / I’m really leaving” in the opening lines to “but I need you” by the chorus. SZA’s soft voice coats the often times depressing and sometimes profane with a sweetness that lets her hard truths and painful revelations go down smooth. Her ability to soar on a solo ballad or effortlessly collaborate with artists is indicative of the vulnerability SZA allows to be heard, her profound honesty rendering any song a success. Hopefully, after her tour with Bryson Tiller and her own North American tour, SZA will embark on a lighter, happier chapter of her music career. But until then, she has gifted the world an exquisitely sincere album that serves as a perfect anathema to the soulless pop flooding our radio waves.